The Natural wood finish combines assertively with the solid Oak frames and panels in this Shades of Oak office for a rich and regal atmosphere. 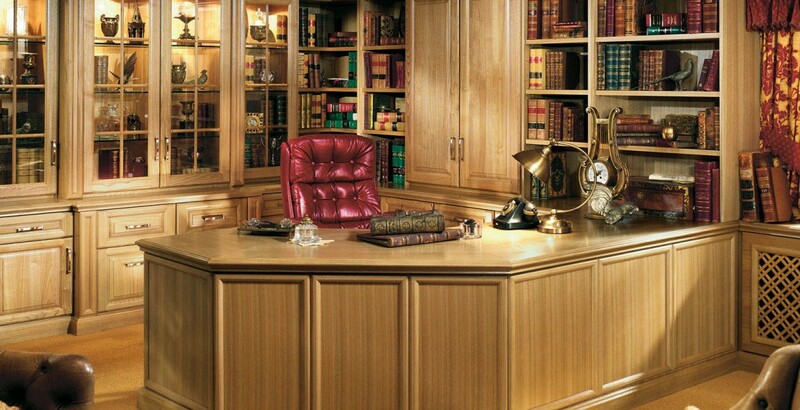 Discover the office you deserve with this traditional and striking design. Every piece of our office furniture is carefully considered with expert attention to detail, whether it’s the demanding Peninsula desk, breakfront cabinets with moulded columns or ingenious solutions for concealed storage.